With the Silver Arrow ITX, Thermalright has an impressive cooler for miniITX motherboards in its portfolio. Equipped with six heatpipes and one 150 millimeter fan, this heatsink means some serious business. 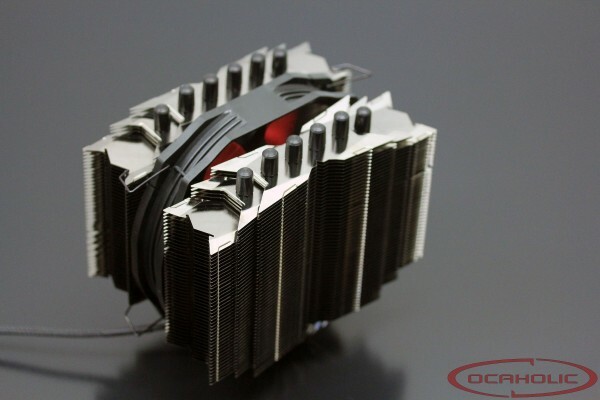 Apart from that Thermalright decided to provide this cooler with a black nickel plating, which makes it look very nice. 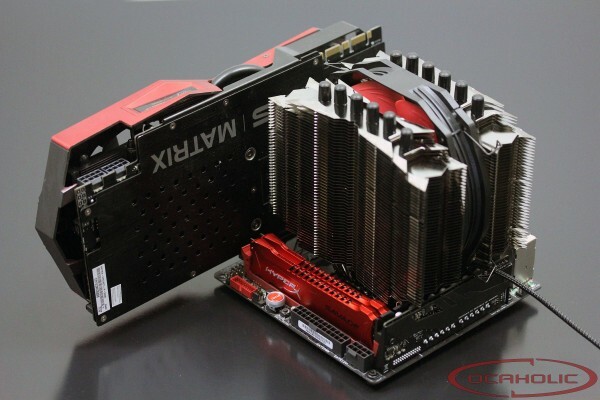 Today we're having a close look at Thermalright's massive Silver Arrow ITX. This is basically a scaled down version of the Silver Arrow SB-E, which can also be mounted on the vast majority of MiniITX motherboards available these days. Thermalright equipped this massive block with a total of six heatpipes and they all measure six millimeter in diameter. This should definitely be enough to offer some very good cooling performance at a reasonable noise level. The Silver Arrow ITX from Thermalright is a classical twin-tower cooler. This type of cooler comes with the advantage that manufacturers can build blocks that offer a large surface area. The disadvantage compared to down-draft coolers is there is no direct airstream towards the motherboard and therefore onboard components get a little hotter. Thermalright manufacturs their Silver Arrow SB-E from aluminium and copper. You can find a nickel-plated copper base plate through which all the six heatpipes got routed. The heatpipes received the same treatment like the base plate which means they've also been nickel-plated. In the case of the fins we count 51 aluminum sheets, which have been soldered to the heatpipes. We couldn't find any manufacturing mistakes on our sample, which means build quality is on an excellent level. The heatpipes do have different bending radius, which helps increasing the efficiency of an attached fan. Regarding the design of the fins Thermalright chose a sawtooth design at the edges of each fin. We also like the detail that Thermalright is equipping the heatpipes with stylish caps and apart from that the black nickel plating makes the thing look ridiculously beautiful.